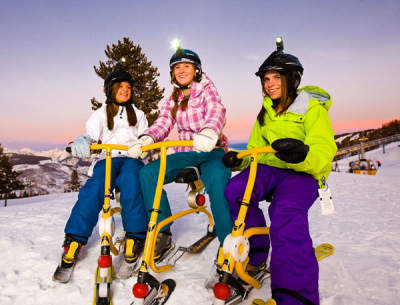 Vail Mountain’s Adventure Ridge offers numerous non-traditional activities on the ski hill, including Ski Biking. Part sledding, part skiing, part biking and all fun. Worried all those parts will make this new mode of downhill transportation hard to learn? It’s easy to learn and considered by some to be the ultimate snow toy. You’ll get mini ski blades that you strap to your boots, which you’ll use to turn and maneuver on the hill. The bike has two blades instead of wheels with a front handle bar that allows you to make turns down the hill. It is a sport unto itself, so as long as you are somewhat athletic or up for an outdoor activity, no other skills are required. If skiing is what you’re after, the Vail Valley has two world-class ski mountains that offer some of the best Black runs around. Fishing. Yes, really. It may seem surprising, but most fishing guides operate year-round. Companies such as Gore Creek Fly Fisherman and Nova Guides can take you out in the snow-curtained woods where you’ll see river-formed ice sculptures with a frosting of ice lace. 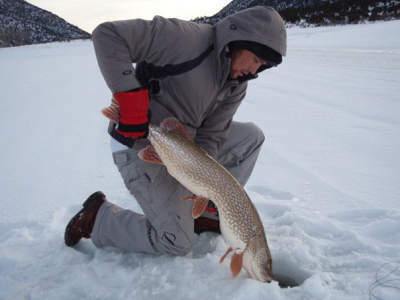 Some companies offer lake ice fishing. 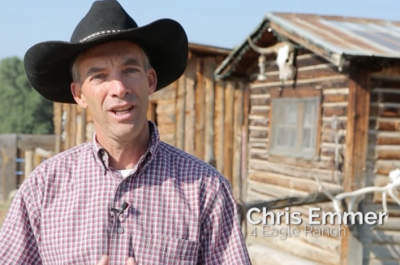 With the right clothes and the right guide, it’ll be a family experience to remember. Be adventurous in your dining experience as well and go to Matsuhisa in Vail, which is known for its innovative cuisine blending traditional Japanese dishes with South American (Peruvian and Argentine) ingredients. Don’t get stuck with food envy. Colorado Tasting Room has over 80 wines from around the world and tapas style entrees to help you explore all the culinary options. The unique architecture and warm atmosphere will help you unwind and relax on this winter vacation. The 10th Mountain Whiskey Tasting Room pays homage to the patriotic and adventurous men of the 10th Mountain Division. Join them by trying some locally distilled and sourced spirits that honor the mountain life-style. Locals know the Minturn Mile offers accessible backcountry skiing and ends at the Minturn Saloon with a cold margarita. 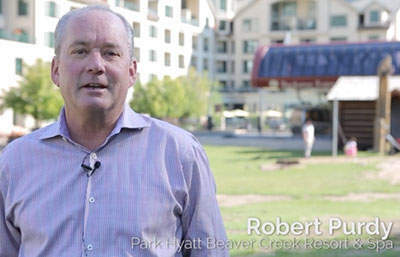 The Beaver Creek Running Series hosts a Snowshoe Edition every year that draws first-time snowshoers, world class snowshoe athletes, kids of all ages and everyone in between. Partake in either the 10K or 5K courses, and bring the kids as well for the Kids K!